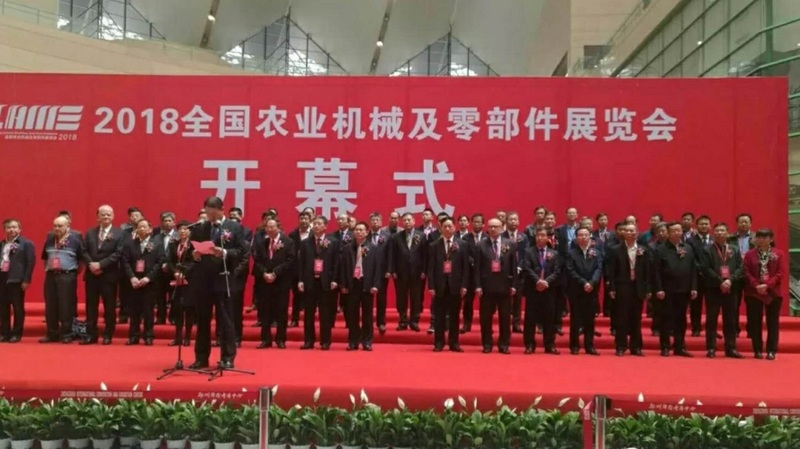 2018 China Agricultural Machinery And Parts Exhibition was opened in Zhengzhou during March 29-31th. Over 500 exhibitors attend the fair. CAME is the most influential exhibition of agricaltural equipment in China in every Spring. YTO, Jinma, Foton, Zoomlion,John Deere, Kubota, Yanmar, AGCO brings their latest designed tractors and implements to the site. Besides the regular implements for different size tractors , the suppliers provide professional complete solutions for specific crops , such as potato series machinery, garlic series machinery, Peanut series machinery, etc. Fusenmach is your professional supplier for agriculatural machinery and parts, our principals ----Quality first, Credit prior. We promise that our company will meet every customer's demand with superior quality, creative spirit and enthusiastic service!